One thing that budget hasn’t bought, however, is subtlety. The US National Reconnaissance Office launched a top-secret surveillance satellite into space Thursday evening, and the official emblem for the spy agency’s latest mission is, well, certainly accurate, to say the least. 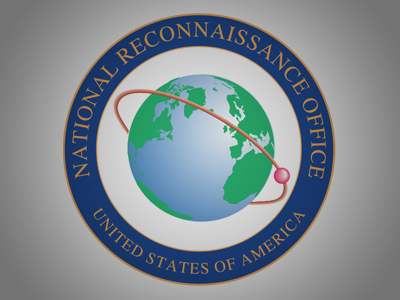 The Office of the Director of National Intelligence live-tweeted Thursday’s launch from Vandenberg Air Force Base in California, and throughout the course of the ordeal made no effort to ignore the logo for the NROL-39 mission. The latest spy satellite to be sent into orbit by the NRO can be recognized by its seal: a malevolent octopus with furrowed brows that also happens to be wrapping its tentacles around all corners of the Earth. “Nothing is beyond our reach,” the NRO boasts on the bottom half of the emblem just below the most sinister-looking cephalopod likely ever to be sent into space. 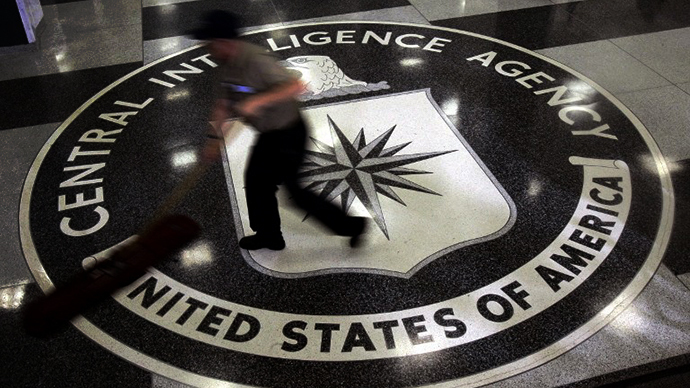 Along with the National Security Agency and more than a dozen others, the NRO is one of 16 federal offices under the directive of DNI James Clapper and is responsible for building and operating the spy satellites used to collect intelligence around the world. NRO-gathered intelligence was reportedly instrumental in the mission that brought US Navy SEAL’s to the home of former al-Qaeda leader Osama bin Laden in 2011, and decades earlier the agency launched a school-bus sized satellite into orbit to spy on Soviets at the height of the Cold War. This time around the ODNI says the satellite’s payload is mostly classified, but did admit over Twitter that around a dozen mini satellites funded by both the NRO and NASA will be brought along to orbit as well. Another thing they didn’t bother to acknowledge, of course, is how the lack-of-subtlety apparent in the Earth-strangling octopus emblem could quickly be used by critics of the US intelligence community as fodder to further condemn the government for admitting to their sheer and unmatched ability to control the world’s information. 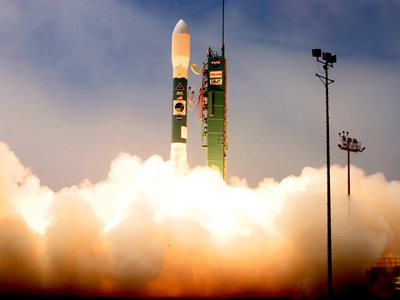 Thursday’s launch of the latest NRO satellite occurred almost exactly six-month-to-the-day after The Guardian and Washington Post newspapers published the first of what has since been revealed to be a trove of leaked national security document showing proof of the NSA’s widespread and extensive ability to monitor people around the world. On June 6 those papers first disclosed evidence in which the NSA was documented to demand telephony metadata from millions of people daily, and a steady stream of leaked files attributed to former intelligence contractor Edward Snowden have since captivated the world while also raising a number of questions. For half a year now, leaked NSA documents have let the world learn that the US monitors the phone habits of not just Americans, but also foreigners sitting atop the governments of allied nations. Reporters with access to the cache of pilfered papers have reportedly released only a sliver of what’s been reported to be 50,000 documents during those six months, but the response has already been widespread. The leaders of countries such as Brazil and Germany have lashed out at the NSA’s behavior, and DNI Clapper and his deputy manning the NSA, Gen. Keith Alexander, have easily become two of the most embattled public figures in Washington. That being said, you’d think ODNI would reconsider launching a new spy satellite. Or maybe even not put an octopus strangling the Earth on the outside. "You may want to downplay the massive dragnet spying thing right now,” Chris Soghoian, the chief technologist at the American Civil Liberties Union, tweeted Thursday. “This logo isn't helping." 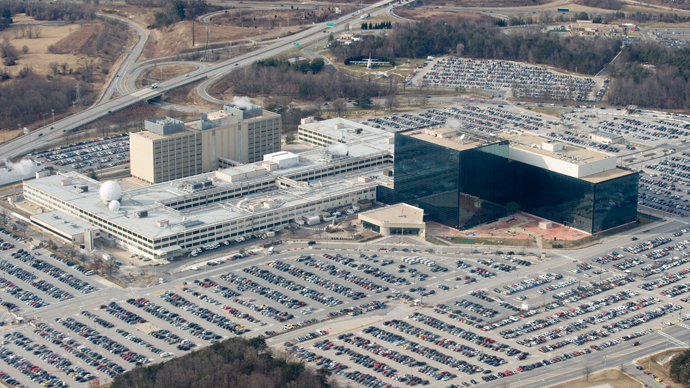 According to a top-secret budget document released by Snowden and first reported on in August, the NRO is in the midst of modernizing their signals intelligence, geospatial and communications system to replace current capabilities. 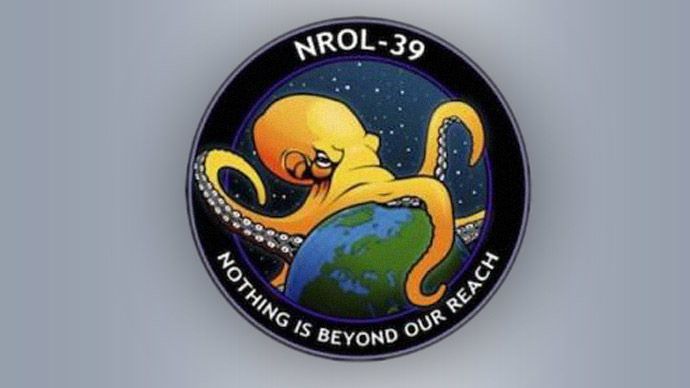 Looking at the NROL-39 logo, people could be forgiven for mistaking it for a version of the Lovecraftian elder god Cthulhu, who wants to swallow the Earth whole. 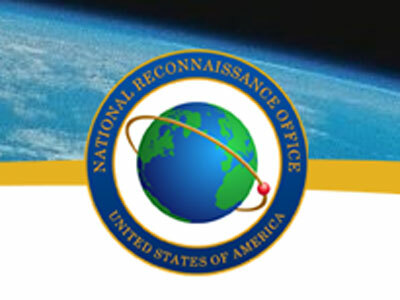 But that is not the only National Reconnaissance Office emblem with an interesting spin on the space-spying theme: others include Masonic motifs, superhero ones and a few more that, frankly, defy easy classification.